In 2019, home decorating trends will see the return of some much-loved styles as well as some complete innovations. 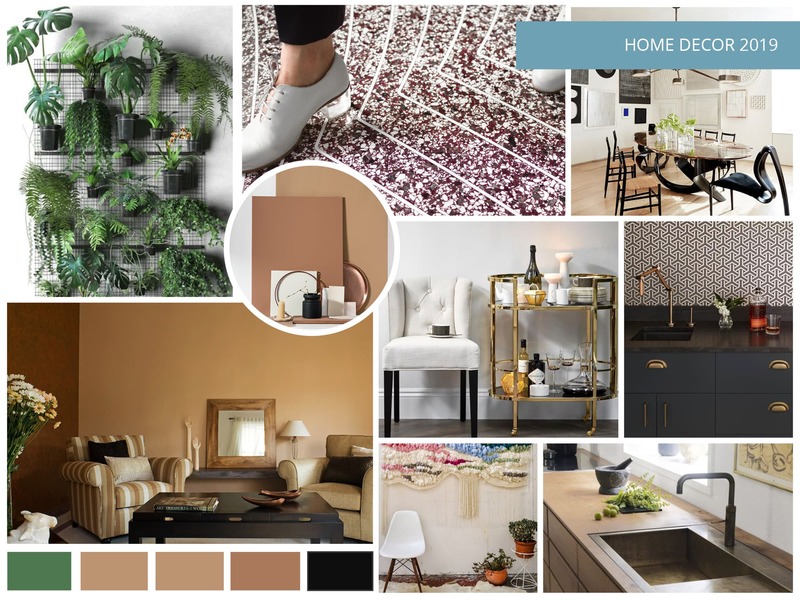 In fact, home decor in 2019 could be one of the most exciting years yet from the point of view of both professional and amateur interior designers. From expansive statements that mean entire renovations are required to more subtle design cues that you can incorporate into your current style with minimal expense, we have the coming year’s design styles covered. 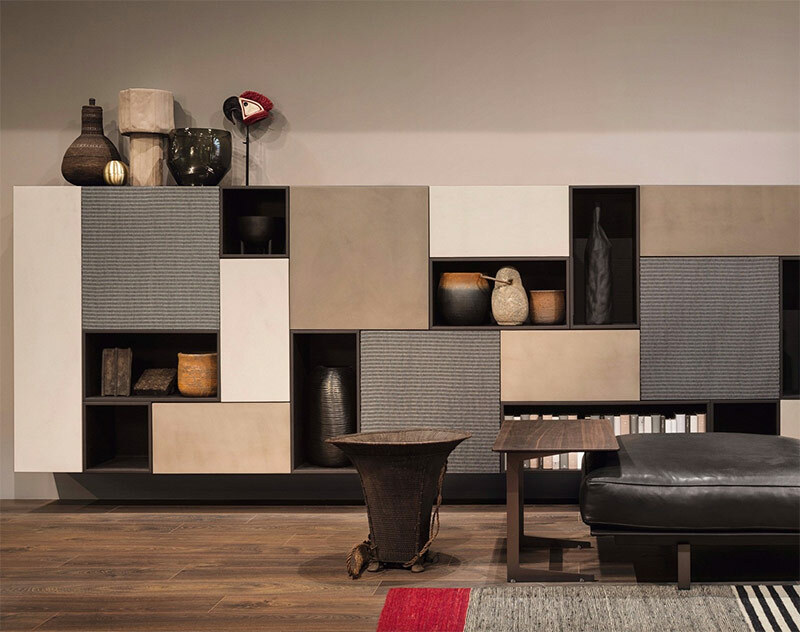 Read on to discover our interior design trend predictions for 2019 and find out what is going to be in vogue for the next twelve months at least. 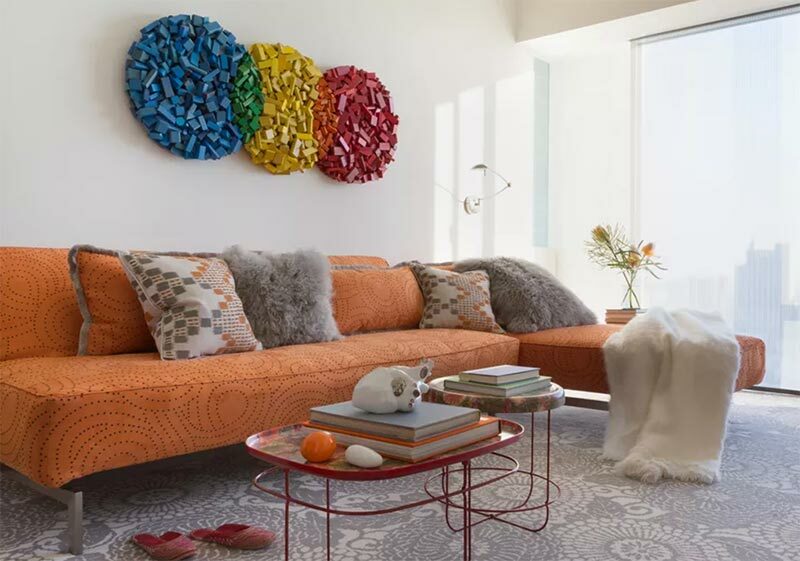 The feel of your home’s upholstery is going to be just as important as its look in 2019 and if the current trends are anything to go by, then even more so. Tweeds have not been seen in many homes to cover furniture for years, but the fingertip feel of it should see them starting to undergo a revival. What is likely to be more of a big winner in 2019 – thanks to the vogue for sensory materials – is velvet. 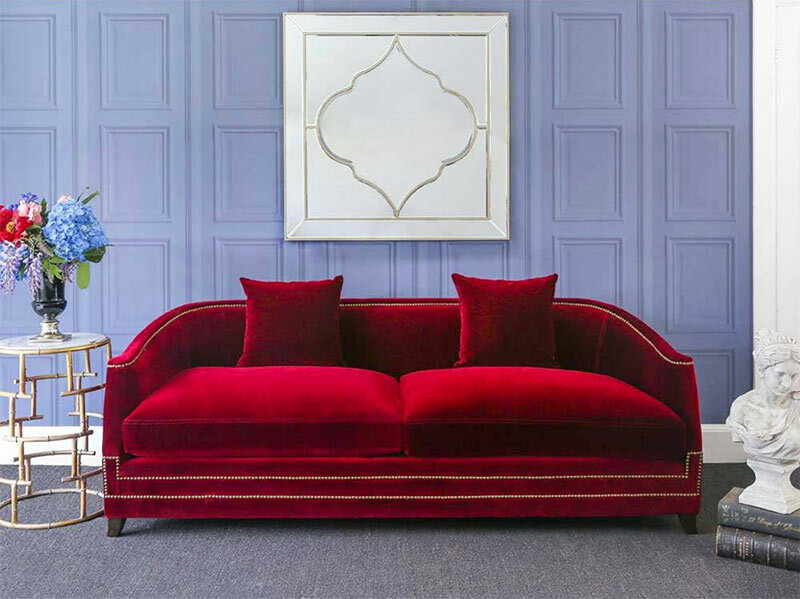 Offering a touch of glamour that, frankly, tweed never will, velvet will be the fabric of choice to cover anything from your chaise longue to your alcove bench seat. If that doesn’t appeal to you, then why not consider the merits of corduroy for your home’s re-upholstery project? Trust us, it’ll be the next fabric to make a big comeback. 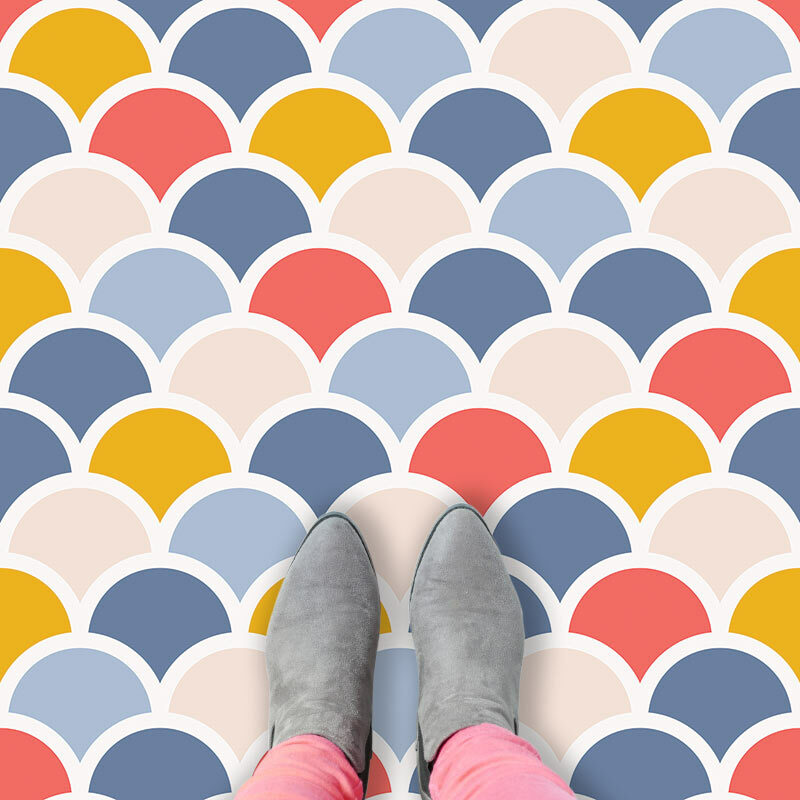 Of all the home decor trends 2019 has in store, we think the return of terrazzo will be among the most popular. This is because this composite material is so versatile that it can be used to update many different types of redecoration project. 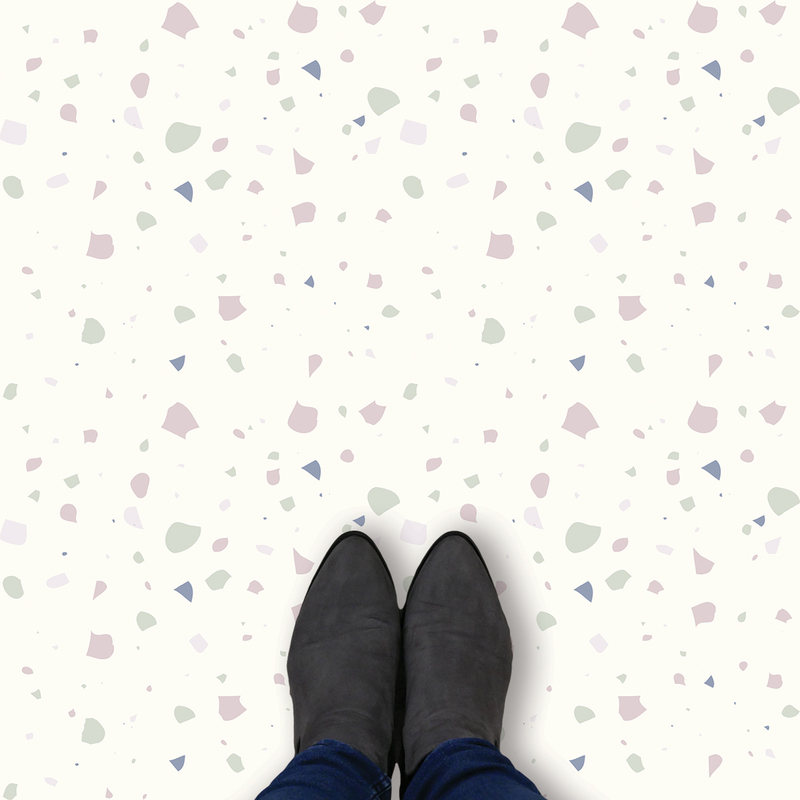 It might have been on-trend in the 1960s and 70s before slipping out of vogue for a few decades, but terrazzo is back with a bang and is guaranteed to look fantastic in kitchens, bathrooms and exterior living spaces. Made up from little segments of marble, quartz, granite and glass, it is a wonderful way for making a space unique and a true one-off. It is the unique look of terrazzo – whether it is precast or poured on site – that makes it such a design winner for the coming year. If using ‘real’ terrazzo is just too much of a project for your home, we have options for the same glorious style either printed onto glass or our wide width vinyl flooring. Few interior design predictions for 2019 are as much of a dead cert as the rise in curvy furniture. Semi-circles, ellipses and wavy lines will all feature in the interior design palette of serious fashionistas in the foreseeable future. Furniture designers are already falling over themselves to produce curved sofas and coffee tables which break up the formality of modern living rooms. Like terrazzo, curved furniture harks back to the middle of the twentieth-century but modern materials will mean that this generation of soft furnishings is much more robust than their older counterparts. 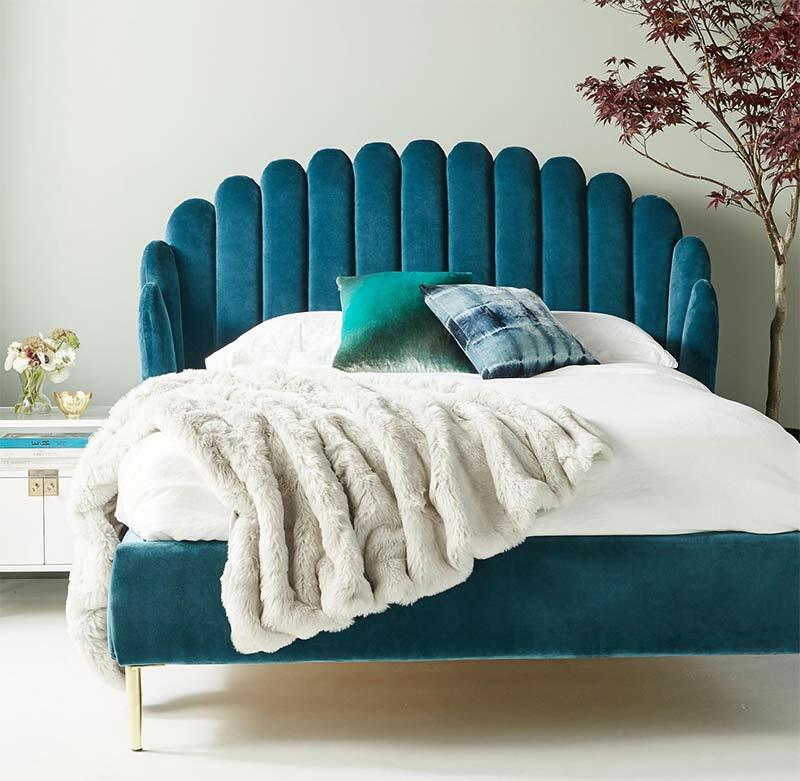 Taken as a new trend, the curved furnishings of 2019 will also be much more luxurious than their swinging sixties predecessors and we expect a multitude of options for colour and design. This is a trend which is already making moves in 2018 and it shows no signs of slowing down in 2019. Dining rooms are often best fitted with a carpet because they trap dirt and require less cleaning than hard floors. However, dropped food and spillages can mean they are time-consuming to maintain. Among the several home decor trends for 2019 that are specific to dining rooms is the use of low-pile carpets. They offer the best of both worlds, helping to hide marks whilst being easier to clean than their deep-pile counterparts. As a real beauty of a bonus, lower pile carpets also last longer due to the shorter fibres being much more durable. Win-win! Whilst we are on the subject of floor covering trends for the coming year, it is worth mentioning that multi-coloured and patchwork rugs will be very much in vogue. We anticipate nearly all home decor in 2019 will feature a rug in any space that is not designed for a single purpose. Spaces such as a day room or a spare bedroom/office are created to fulfil a couple of purposes and a splash of colour makes for a much more homely workroom. It’s not all work, work, work you know! Such multi-functional spaces need to have a hybrid identity and the use of a patchwork rug gives them this look at a stroke. Don’t think of rugs which mix vibrant yellows with blues but of a much more intricate sort of design which will blend up to a dozen different yet related tones together. 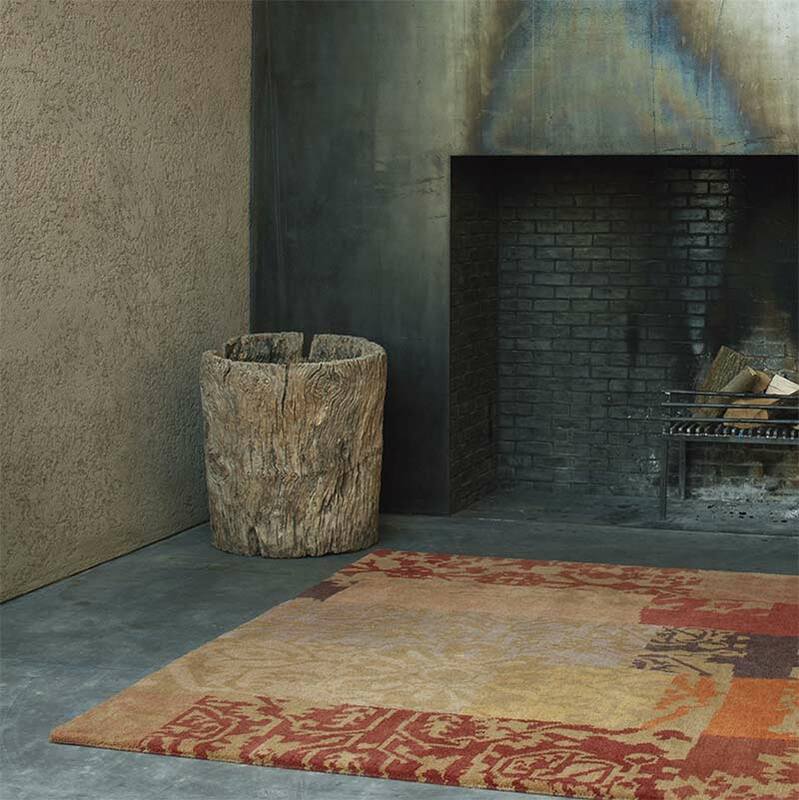 Trendy multi-coloured rugs will resemble a patchwork quilt or even an impressionist painting. One of, if not the style shape for 2019 will be the mermaid tile. Its seriously sophisticated scalloped contours will flow across the printed glass, individual ceramic pieces, soft furnishings and more. 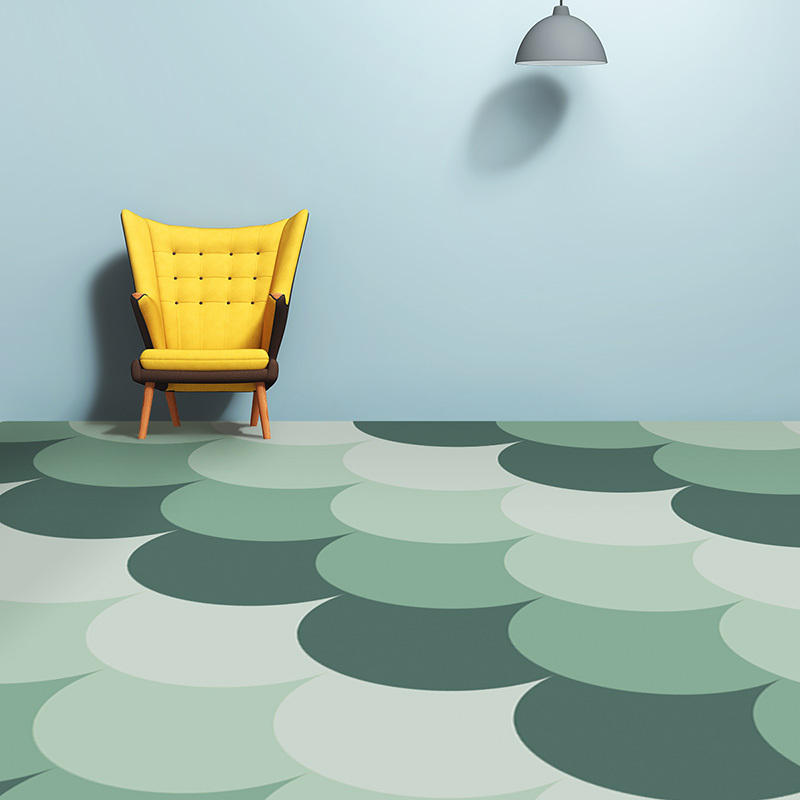 From bold and bright colours to more muted pastel variations, mermaid tiles will be everywhere in the new year. Also known as fish scales or fan-shape tiles, their crisp defined pattern makes much more a statement than a standard square or rectangle. 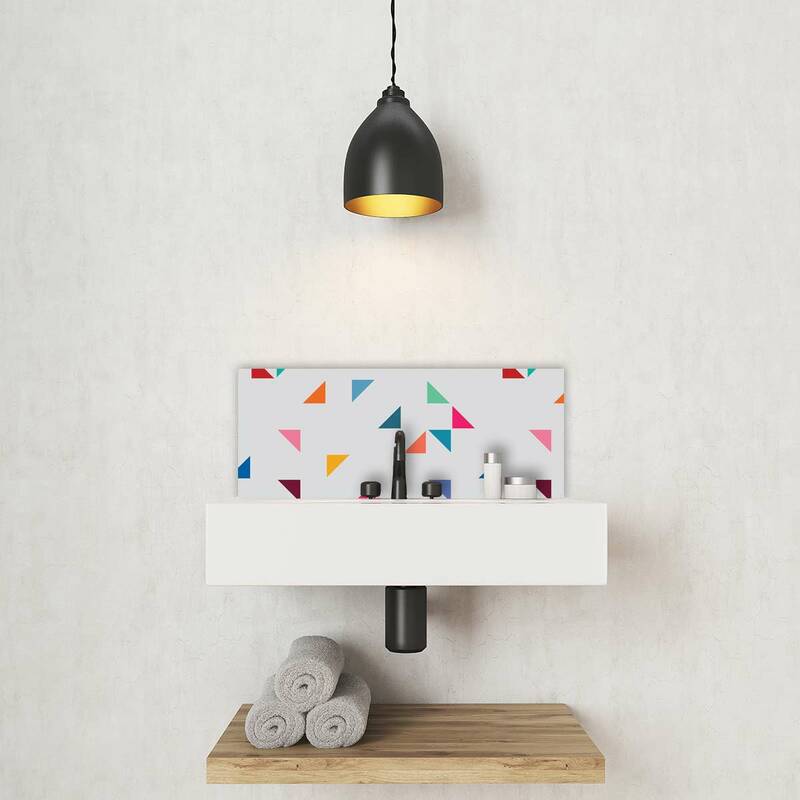 They also create a sense of movement with a focal point that arrows along the wall pointing to an accent colour or signature decor element such as a designer basin tap. 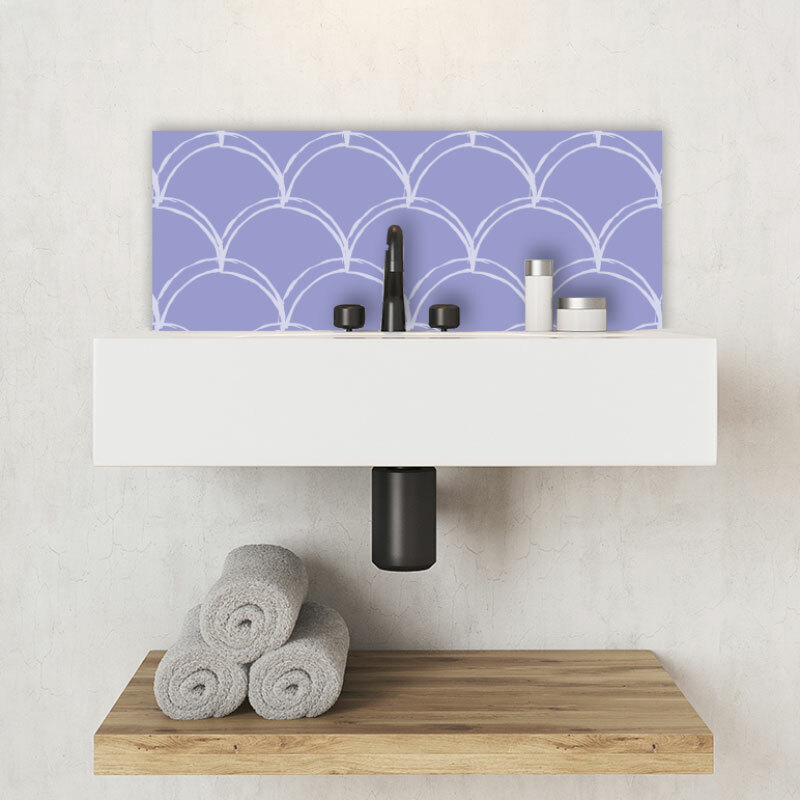 Trust me, you’ll be seeing mermaid tiles everywhere! 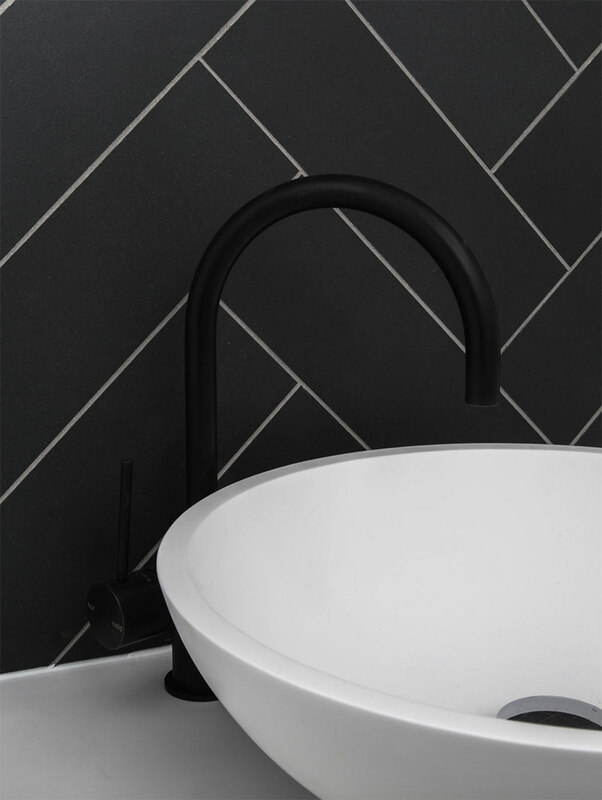 We think these are going to be such hot stuff, we’ve written a whole post here about the joys of fish scale tiled flooring and splashbacks. Modern residential interior designs have long been temples to organisation and structure. What will be new in 2019 is that the techniques for keeping your home tidy and rational will be that little bit more sophisticated. Open shelving, so loved for the last few years in both bedroom and kitchen designs, will be replaced by cabinetry. Yes, cabinets with doors that you can actually close and keep the visual clutter to a minimum with fewer areas to dust. What a result for anyone who cleans their own home! In addition, the recent vogue for divan beds with slide-out drawers is likely to pass. 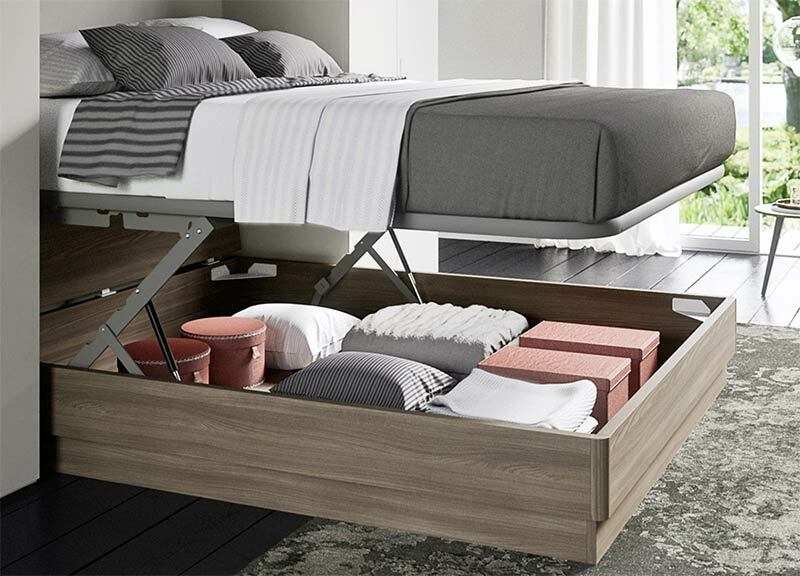 Instead, the more practical lift-up bed storage system – which is so much more functional, especially if you have your bed placed alongside a wall in your home – will become the de rigueur choice for people who like to keep their clutter at bay. 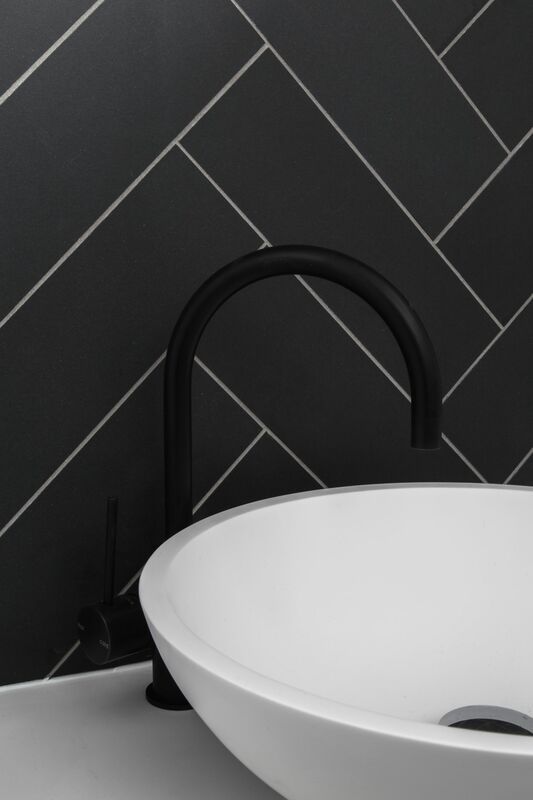 Shiny black and slate grey have been and gone as fads in the world of interior design but matte black is the go-to colour of 2019 for covering a multitude of sins. Dark monotones are ideal for floors, uneven walls and a range of other interior décor uses. There’s nothing new in how and where to apply them. What does shift is the particular on-trend tone to go for and next year many are forecasting it to be a simple matte black. You’ll see it in tiling, paint products and within homeware ranges. 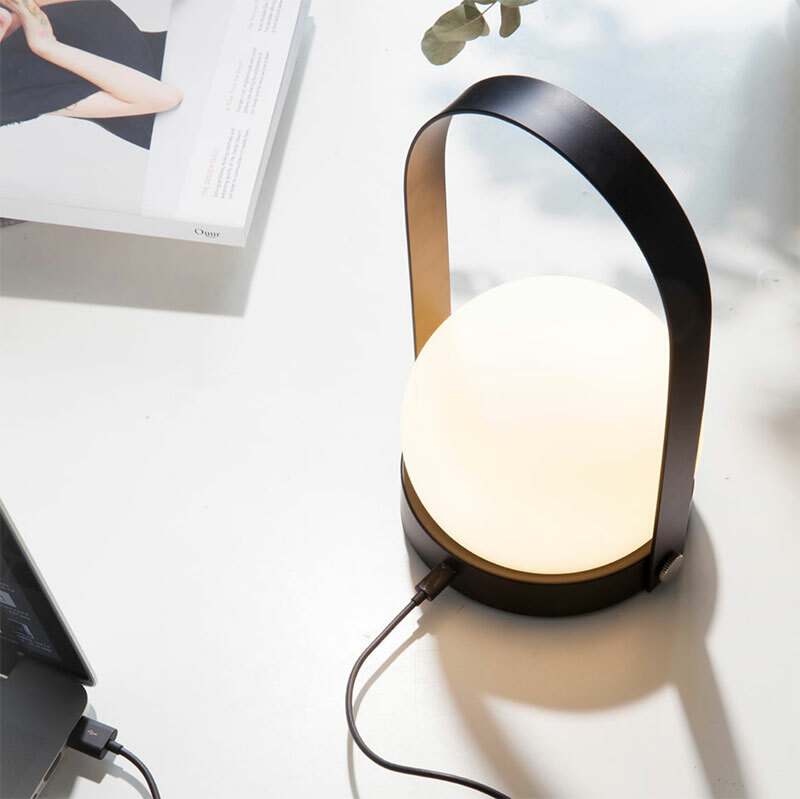 Expect matte black to be the sort of veneer that furniture designers opt for in increasing numbers too with anything from secretary desks to dining tables and chairs being finished in this monotone of the moment. They used to be called hostess trolleys but that term is a little passé, to say the least. Having said that, hostess trolleys for serving drinks will from make a return to many interiors in the next few years having been rebranded and updated as bar trolleys. Anything from Art Deco opulence to mid-century functionality will be chic. Don’t try to resist! To remain up with the home decor trends for 2019, you’ll need one of these to wheel around. 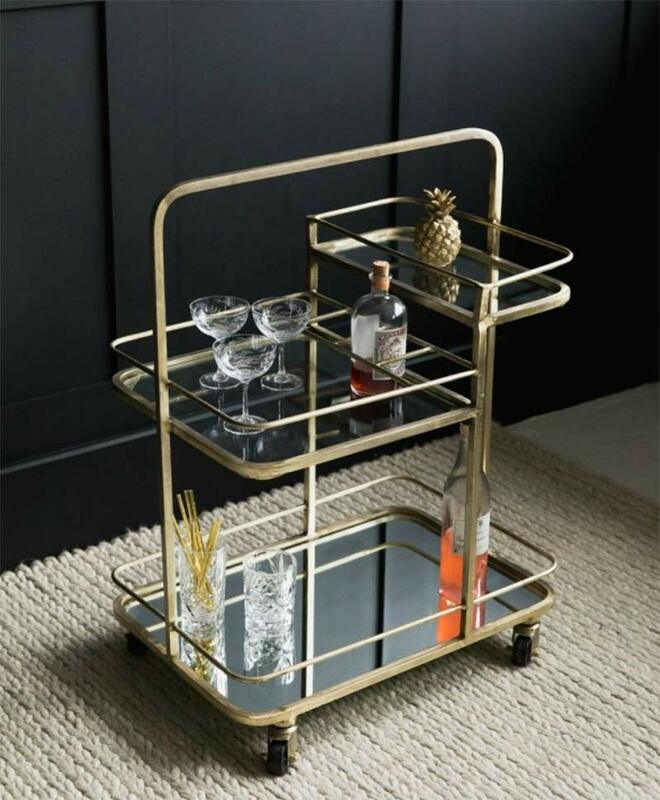 Of course, those with glass shelves will often be regarded as the most sophisticated and, therefore, the coolest of bar trolleys. You will need to keep yours adequately stocked, too. Forget bottles of craft ale, though. The modern host or hostess stocks their bar trolley with trendy vodkas and gins as well as an ice bucket for making cocktails. Chin chin! House plants may not be everyone’s idea of how to get a chic home. The trendy amongst us, however, know that the best way to show you are a lover of the natural environment is to bring some into your home. Some of the most fashionable ideas for house planting include walls that are entirely given over to them. This idea has been borrowed from urban garden design where space is at a premium in places like London and Tokyo. In addition, the space above your bath may be given over to hanging baskets stuffed full of tropical planting that can cope with the humid conditions of your wettest room. Don’t worry about flowers, scents or vibrant colours. 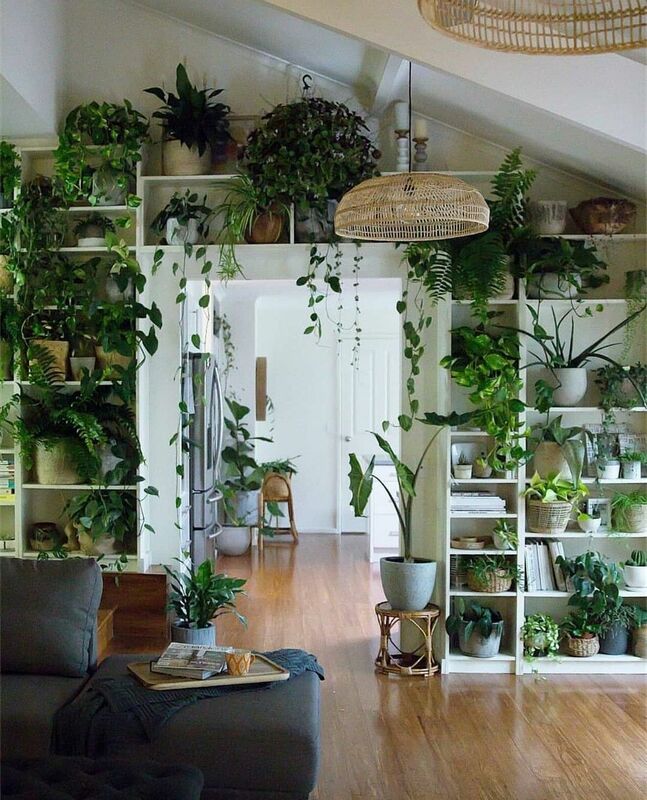 Home decor trends 2019 will be all about green and large expanses of it so go for plants with attractive foliage every time. The more green, the more gorgeous! Kitchen trends are often the most tricky to predict because there is so much variation in style when you compare show kitchens to those which are designed for real cooking. However, whether your kitchen is a temple to haute cuisine or it operates as a family hub which connects to your living space directly, one thing is for sure – you can expect to see more and more wooden work surfaces being installed. A few years ago people were ripping out granite work surfaces and replacing them with copper ones. Now, it is the rise of the natural look of wood in kitchens which has got everyone talking. 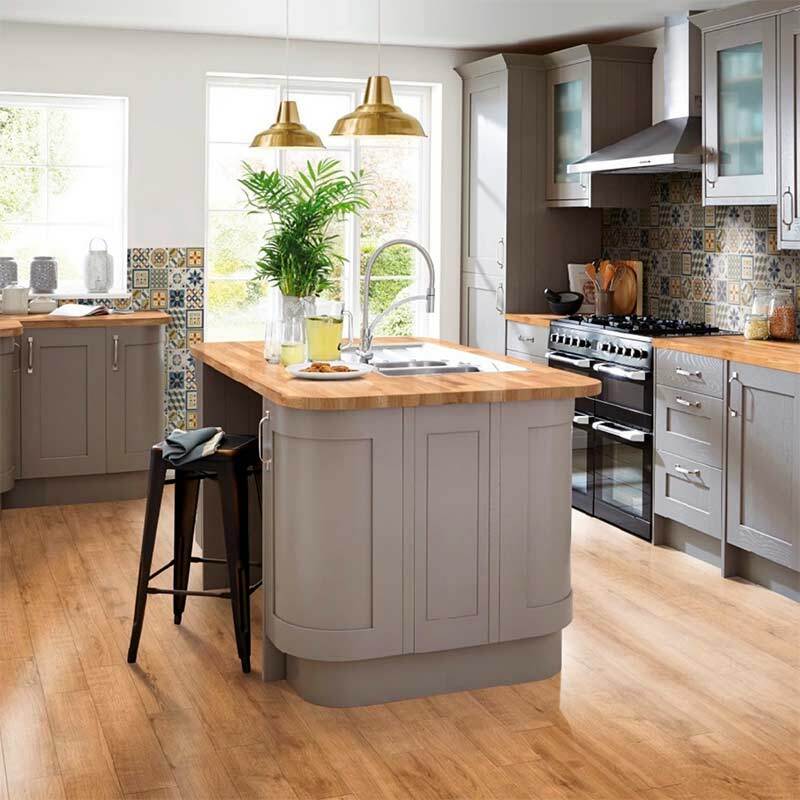 In 2019, if there is just one thing you do to make your kitchen on-trend, then it should be to replace your working surfaces for wooden ones. According to one of the leading paint manufacturers around the globe, 2019 will be the year of spiced honey. This particular tone, as you would expect, is available from within their range but it really does hit some very on-trend targets. 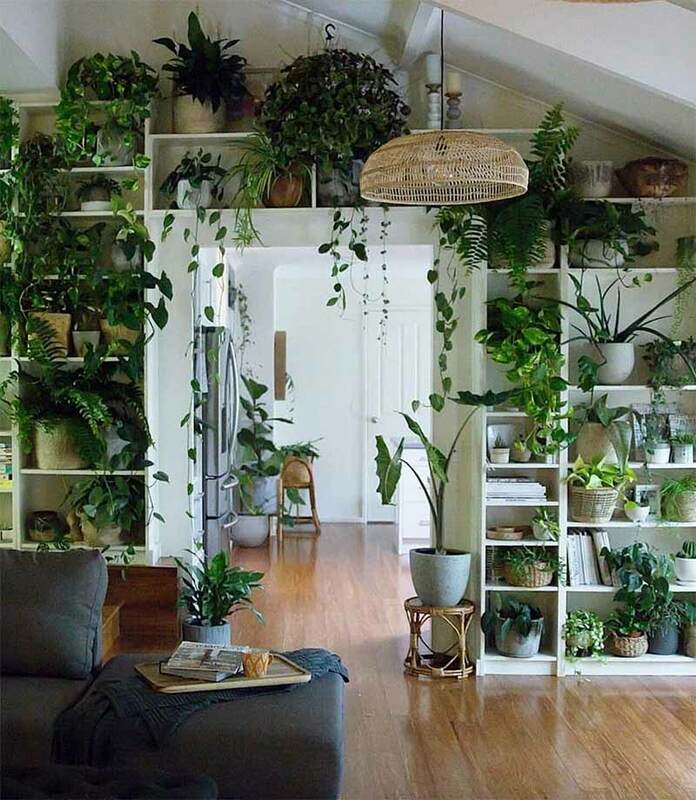 The neutral sandy amber tone will work well with a number of other 2019 home decorating trends, such as the use of evergreen house plants around the home, for example. 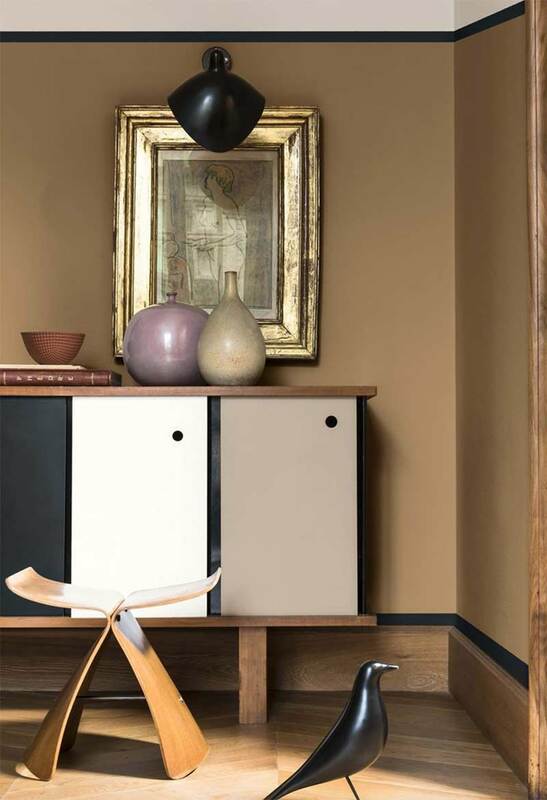 What’s more, this hue will also brighten any room which has a matt black flooring finish. You can use it for halls and corridors but also to create an uplifting effect in reception rooms and even bedrooms. Whereas some of the recent ‘colour of the years’ have been a bit bold and brash (Pantone’s purple anyone? ), expect Spiced honey to create a true sensation. We look forward to seeing what the high street stores will have to offer in accessories and furnishings to match and contrast. 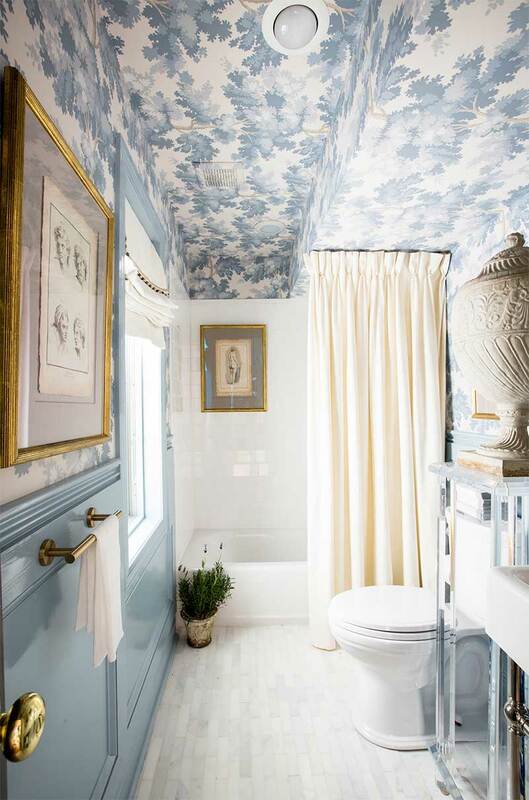 Among the many home decor trends in 2019, one that will undoubtedly make a big ongoing splash is the re-emergence of the feature ceiling. You have heard of the feature wall concept, right? Well, a feature ceiling is the same idea only turned through ninety degrees. Instead of a plain, old whitewash application to your home’s smoothly plastered ceilings, treat them to a bolder and braver treatment of colour. You can achieve the 2019 look with a design rich high contrast ceiling paper. Anything geometric, from zig-zags to chevrons, will do the job perfectly. If papering is not your thing, you could alternatively paint your room’s ceiling with another one of the year’s trendiest tones, sage green. So long as your architrave, skirting boards and wall treatments differ, then you’ll have achieved the feature ceiling look. For so long, industrial light fittings have been the bee’s knees in restaurants, bars and homes. Fashionable home decor in 2019 will be different, at last! Next year will see continued use of LED arrays in all lighting products but the fittings will alter to simpler designs which are designed to be less visually intrusive than those that have been around in recent years. Recessed lighting may not be making a full-on comeback yet, but simpler wall mountings and suspended light fittings will make homes feel more homely again. When it comes to lighting colour temperatures, 2019 will see a less brilliant light with softer tones coming to the fore – the sort of thing that adds sparkle in an altogether more understated way. Expect manufacturers to produce light fittings from chrome and aluminium – the sort of thing that can complement the decor of just about any pre-existing design ethos. Did we cover enough ideas in our home decor trends 2019 roundup to get you motivated? Are you thinking about that room in your home now (you know which one!) with a wistful stare and a look of determination? Good luck with whatever you get up to and I’m sure your home will be all the more beautiful for it! PS – if changing the look of what’s under your feet is on your new year’s resolution list, get in touch for free patterned vinyl flooring samples and if you’re still collecting inspo and info, have a read of our post on Farmhouse Kitchen Ideas or if its not too cold to be thinking about it, 6 ways to bring the outside in! PS: I’ve just put this new post together all about the colour trends for home decor in SS2019. Love you to take a look. Fish Scale Tiles For Flooring & Splashbacks – How Mermaids Are Making A Big Splash! Why Wide Width Vinyl Flooring Works!